"New toy!!! 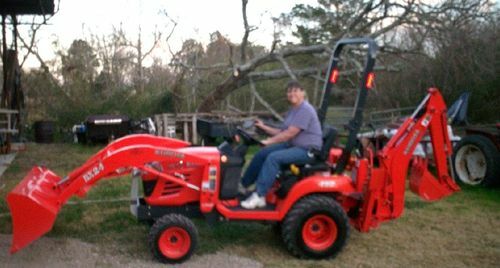 We picked this up today, it was on sale and Linn just couldn't resist having a tractor with the front end loader and back hoe. Just look at the grin on her face..."